FORT LAUDERDALE, Fla. (March 31, 2016) – Hoffman’s Chocolates, a subsidiary of BBX Capital (NYSE: BBX), is pleased to announce that it will be celebrating National Poetry Month in April by teaming up with the Jason Taylor Foundation to support the young poets of the Omari Hardwick bluapple Poetry Network. Through the partnership, Hoffman’s Chocolates will donate 10% of all of its Gourmet Caramel Apple sales during the month of April to the Jason Taylor Foundation. The Omari Hardwick bluapple Poetry Network is an after-school spoken word poetry program serving students in South Florida Public Schools through the Jason Taylor Foundation. 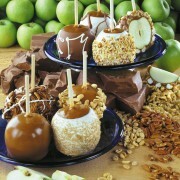 Hoffman’s Chocolates recently introduced its decadent new line of Gourmet Caramel Apples to its vast selection of chocolates and confections. 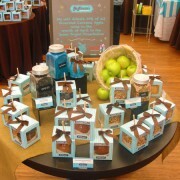 The Gourmet Caramel Apples are available in the chocolatier’s eight retail locations in Palm Beach and Broward Counties. In addition, a Hoffman’s Signature Blue Caramel Apple will be on display in each store to symbolize the Omari Hardwick bluapple Poetry Network and to help raise awareness of National Poetry Month. The Jason Taylor Foundation’s mission is to support and create programs that facilitate the personal growth and empowerment of South Florida’s children in need by focusing on improved health care, education and quality of life. In addition to setting up the Omari Hardwick bluapple Poetry Network, the Jason Taylor Foundation has also created the “Louder than A Bomb Florida” competition. Dubbed the “Super Bowl of Poetry,” Louder than a Bomb Florida features a friendly spoken-word competition between school-based poetry teams representing local high schools from Broward County, Miami-Dade and beyond. National Poetry Month was established by the Academy of American Poets in 1996. According to poets.org, it is the largest literary celebration in the world, with tens of millions of readers, students, K-12 teachers, librarians, booksellers, literary events curators, publishers, bloggers and poets marking poetry’s important place in our culture and our lives every April. In addition, the BBX Capital Foundation is making a monetary donation to the Jason Taylor Foundation in support of the Omari Hardwick bluapple Poetry Network. With Easter-related spending expected to reach a record high this year, the candy crew at Hoffman’s Chocolates has spent the past month making sure they have enough chocolate bunnies and creme-filled eggs to fill baskets across South Florida this weekend. 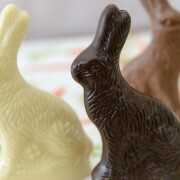 Chocolatiers at the 40-year-old brand have made more than 15,000 candy bunnies, ranging from 2.5 ounces up to 25 pounds, said Lois Marino, Hoffman’s Director of Marketing. The company also expects to sell more than 6,000 chocolate eggs filled with a variety of favors. Each of the eggs weighs a quarter of a pound, Marino said. What new tasty treat is Hoffman’s Chocolates selling? Hoffman’s Chocolates is offering what it’s calling a “decadent” new line of gourmet caramel apples to its wide selection of chocolate and confections. The new apples debuted Monday in eight locations in Palm Beach and Broward Counties. There’s a Hoffman’s Chocolate on Lake Avenue and another on Lake Worth Road in Greenacres. http://www.hoffmanschocolateblog.com/wp-content/uploads/2016/04/Apples-Group-Beauty-Shot.jpg 1500 1200 admin http://www.hoffmanschocolateblog.com/wp-content/uploads/2016/03/blog-logo-300x138.png admin2016-03-02 13:20:282016-04-07 14:00:22What new tasty treat is Hoffman’s Chocolates selling?